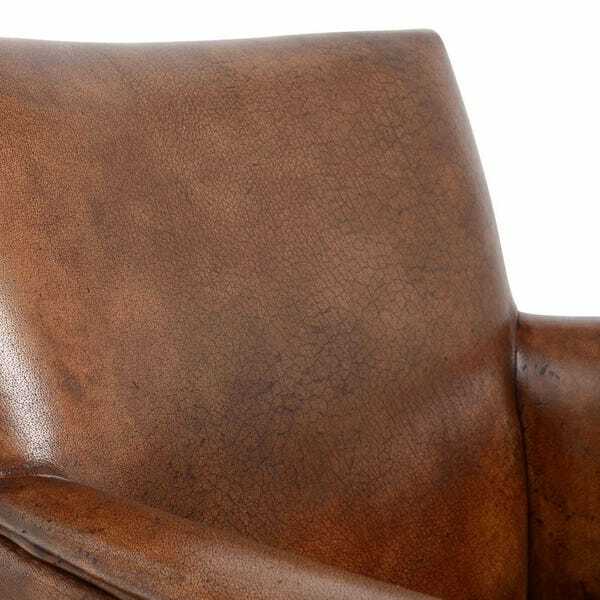 Balancing sophisticated style with rich buffalo leather, the Cuba has all the charm, comfort and class you'd expect from a traditional gentlemen's club chair. This sumptuously tailored armchair makes the ideal seat for the head of the table or a place to lounge with a glass wine after an indulgent meal. The strong angles of the Cuba's solid wooden frame make it an assertive piece of furniture while deep armrests and an elegant curve along the back provide a leisurely recline. 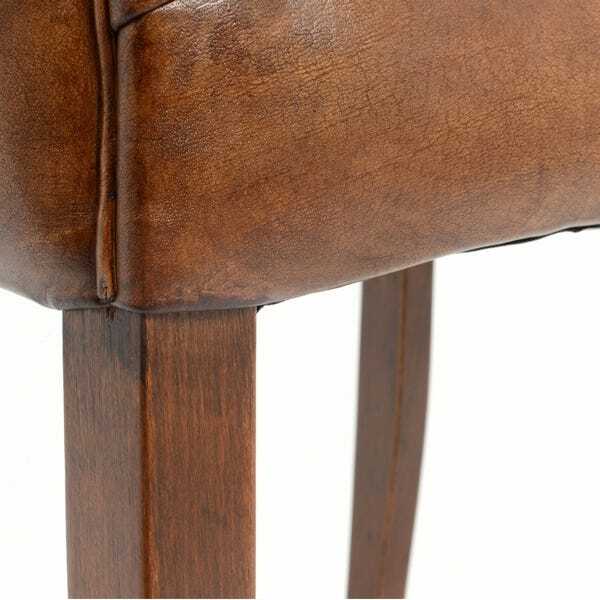 Bringing the whole piece together, detailed upholstery joins individual panels and corresponding piping, with the unique patina of this hand-finished buffalo leather adding character that will mature with age. 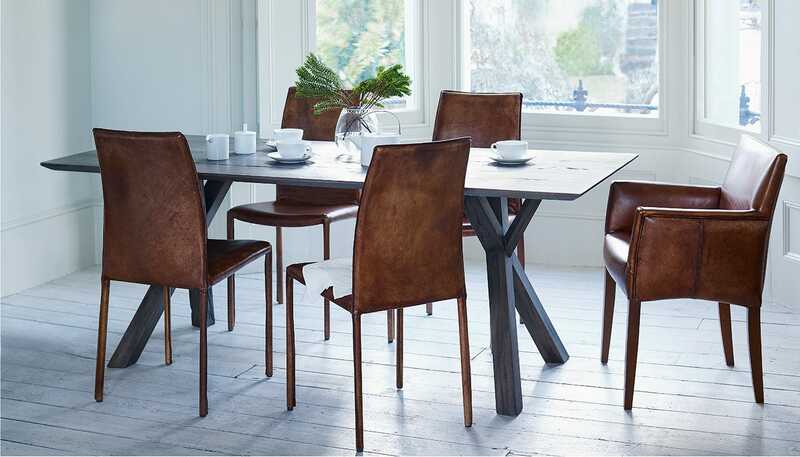 Available in a variety of buffalo leathers including black, camel and dark brown, the Cuba armchair looks striking next to solid wooden furnishings such as rustic oak dining tables or sleek walnut desks. A sprung seat and foam cushioning allow for a comfortable sit, while the supportive backrest ensures there is plenty of provision for posture. 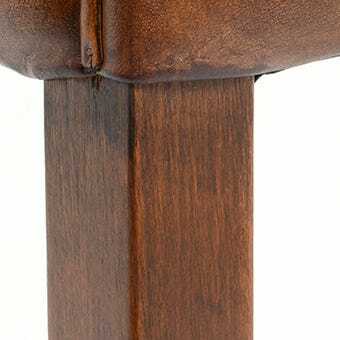 Smooth profile is complemented by slender beech legs, featuring tapered cutaway detail along the inner seam and finished in dark walnut. 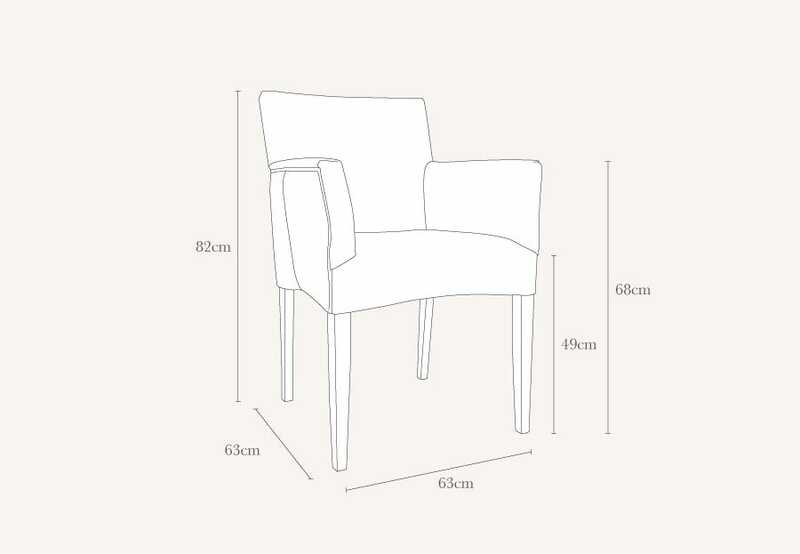 Slender beech legs are complemented by cutaway detail along the inner seam. 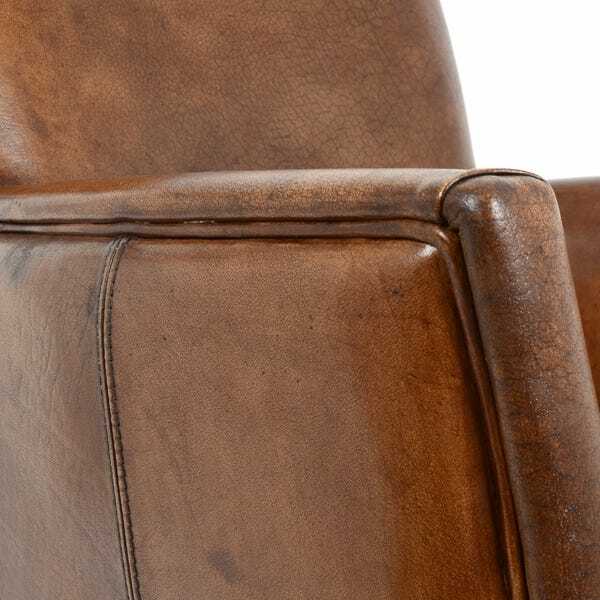 Upholstered in a variety of luxurious buffalo leathers with unique patinas. 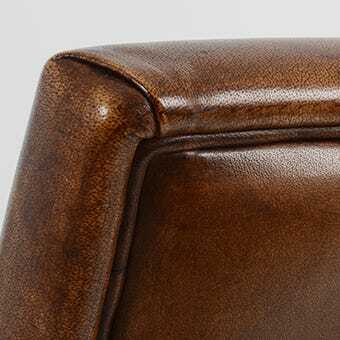 Detailed upholstery joins individual panels and corresponding piping of the buffalo leather. Suberb quality chairs, will last for years! Lovely comfortable chair for dining and reading. Perfect! Bought this to be an occasional chair in my study. 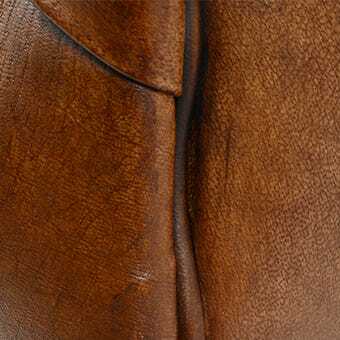 Beautifully made and the leather is soft, has a buttery sheen and so very comfortable. 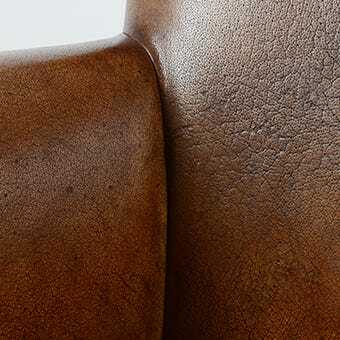 Comfortable and lovely leather which looks slightly old! Colour as expected from online purchase. Not the condition I expected. Classic chair, comfortable but not too large. The chairs I purchased were wonderful and just what we required .